For the start of our annual Summer trip, we did what we usually do each time - drive down to Sea-Tac. Yes, it is true, we pay about half the price to fly out of SEA as opposed to YVR. For us, it represents a substantial savings since we need 4 tickets. 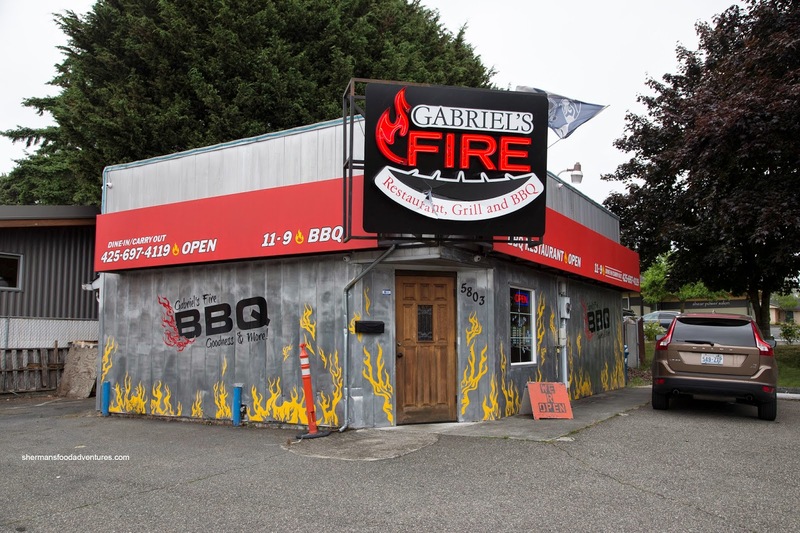 Therefore, before we checked into our hotel near the airport (where we left our car), we stopped for lunch along the I-5 at Gabriel's Fire in Mountlake Terrace. Not particularly inviting from the outside, we were warmly greeted once we entered. Viv and I decided to build-our-own-meal with 1/2 pound of Side Ribs, 1/4 Chicken and 1/4 pound of Pulled Pork. With an attractive and tasty bark, the ribs were a good mix of meat and fat. Furthermore, they were remarkably tender considering the chewy exterior bark. Also very surprising was the moist chicken despite looking quite dark. It was well-brined and smoky in flavour. The big chunks of pulled pork were sufficiently moist as well with the same tasty bark. We chose the KC BBQ sauce which was more vinegary than sweet, but it went well with all the meats. For our sides, we had the Gumbo and Macaroni Salad. We found the gumbo a bit bland and lacking in ingredients. It was thick with a slight spice. However, the macaroni salad was a veritable flavour explosion due to the amount of chilis. 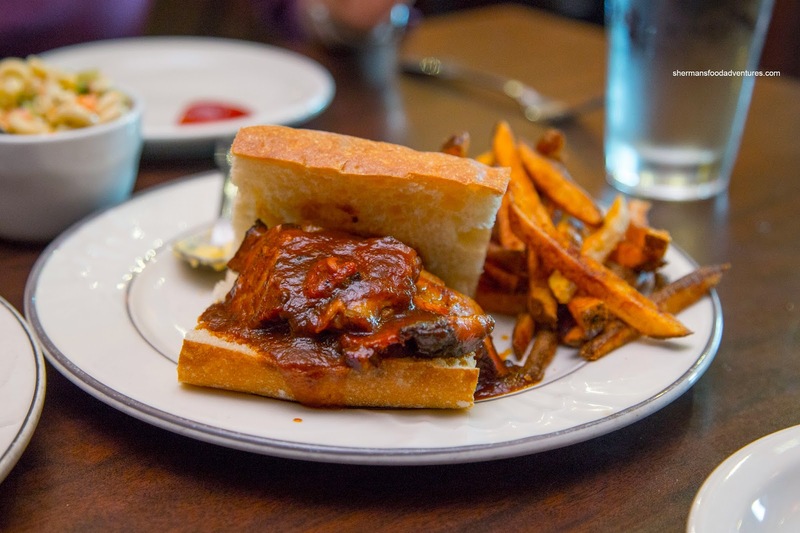 For the kiddies, we got them a Brisket Sandwich to share. Slathered in just enough BBQ sauce, the fatty meat was tender and smoky. Similar to the other meats, there was a nice smoke ring on the exterior. The crusty bun held up to the wet ingredients providing a textural contrast. For their sides, they had Mac n' Cheese and Fries. A bit on the floury side, the mac n' cheese was decent with chewy macaroni and a mild cheese flavour. The fresh cut fries were a bit dark, but ultimately were crispy. 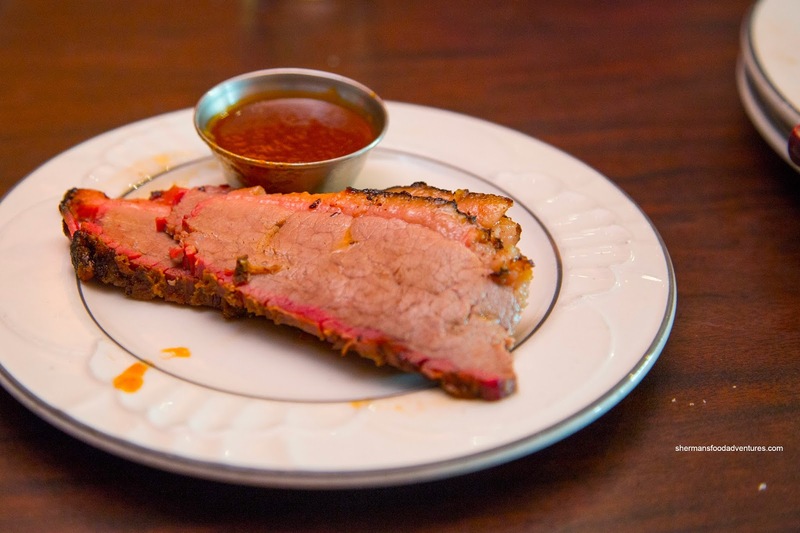 We couldn't help ourselves and added another 1/4 pound of Brisket. This time, it was a bit leaner and drier. 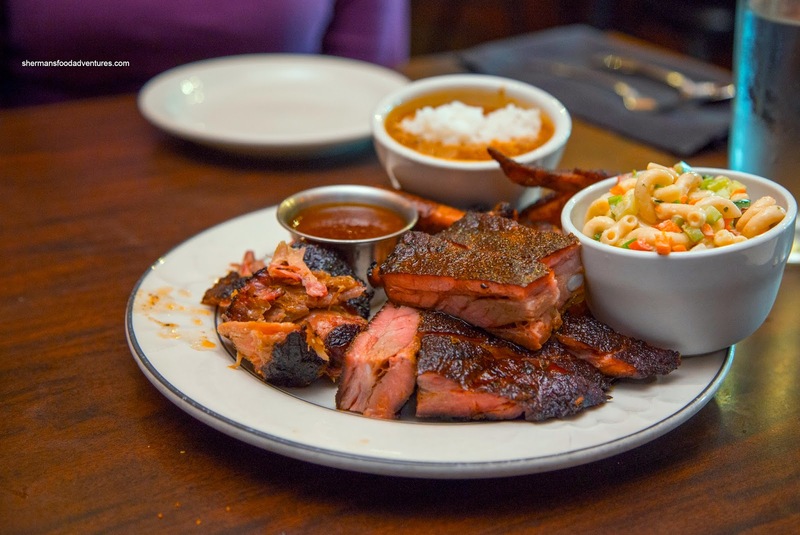 Overall, we were pleasantly surprised at the solid execution of the smoked meats. Gabriel's is definitely worth checking out if you are in the area.